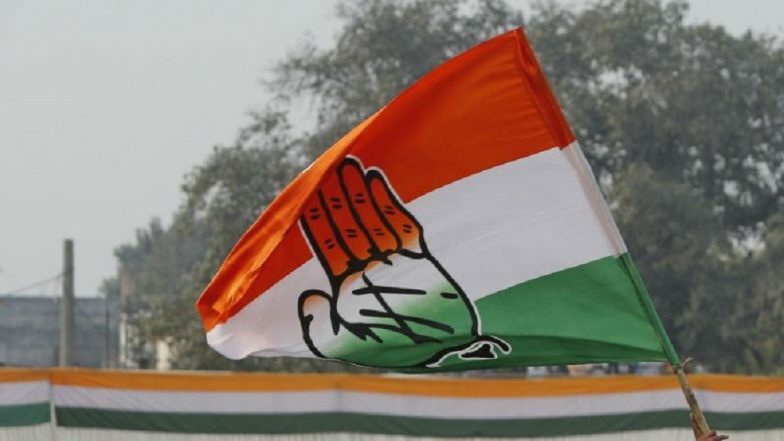 New Delhi, March 23: The Congress on late Saturday night released its 8th list of candidates for the upcoming Lok Sabha elections 2019. The list includes 38 names, prominent among them being former Maharashtra chief Ashok Chavan from Nanded, Leader of Opposition Mallikarjun Kharge from Gulbarga and party veteran Rashid Alvi from Amroha. Another Congress heavyweight and member of the old guard, Digvijaya Singh has also featured in the 8th list. The former Madhya Pradesh CM will be contesting from Bhopal -- the seat which the Bharatiya Janata Party (BJP) has not lost since the last 30 years. Shashi Tharoor Challenges PM Narendra Modi to Contest Against Him From Trivandrum. Among other top Congress members, M Veerappa Moily will be contesting from Chikkaballapur (Karnataka), Meenakshi Natarajan from Mandsaur (MP) and Manish Khanduri from Garhwal (Uttarakhand). Former Uttarakhand CM Harish Rawat is also named in the list. The senior Congress leader, who has also served as a Union Minister during the UPA era, has been fielded from Nainital-Udham Singh Nagar. With this list, the Congress has revealed its candidates from 208 constituencies so far. The BJP, meanwhile, has named its aspirants from 246 constituencies.